Joey Cool is just that. Cool. The name is a reflection of his nonchalant bravado and swagger, but don't get it twisted. Though he may have this effortlessly “cool” persona, Joey comes for your head each and every time he picks up the mic. With a knifing drawl, fleet flow, and dense lyrics, Joey Cool transcends his moniker when he’s on the attack. His unwavering confidence and how he backs it up on the mic is what made Joey a pillar of the Kansas City hip-hop scene. Even before signing, Joey grabbed the attention of Strange Music emcees, boasting collaborations with Ces Cru (who featured Joey on their 2015 EP Recession Proof), Tech N9ne and JL. In fact, JL and Joey already have an electric chemistry you can see (anytime they perform together on stage) and hear (on the standout track “Catch A Wave” from JL’s album DIBKIS). 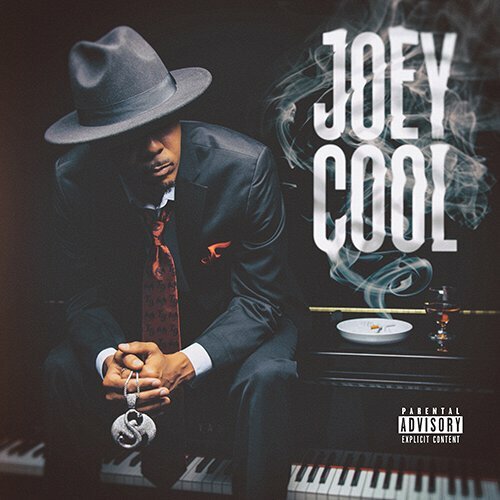 Joey Cool, a seasoned veteran with a distinct style and an already deep relationship with Strange Music, made him the perfect addition to the roster. The Strange Reign release concert at Red Rocks Amphitheatre in front of 10,000 fans became the perfect place to make it official. Joey Cool’s history with Strange is what makes the future so exciting.